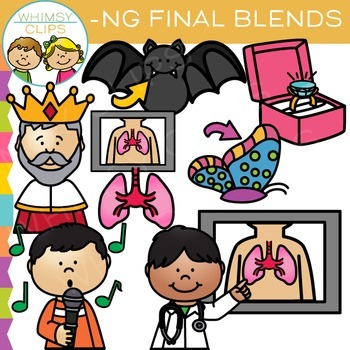 This Ending Blends clip art set focuses on words that end in "ng". This set contains 16 image files, which includes 8 color images and 8 black & white images in png. All images are 300dpi. Original Illustrations © Laura Strickland.